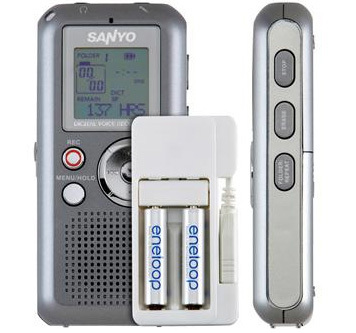 SANYO introduced four ultra-compact digital voice recorders. 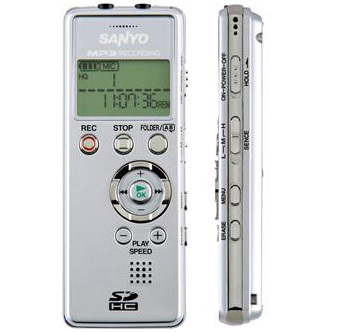 Each device offers convenient MP3 recording and long battery life for extended use. 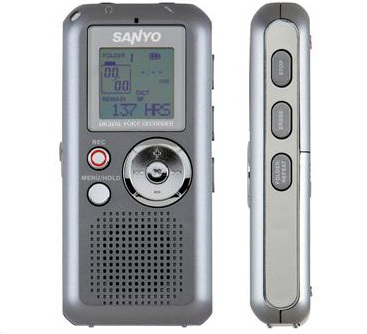 Select models offer advanced features including a built-in stereo microphone, USB file transfer, up to 29 hour battery life, expandable SD memory card slot and up to an amazing 544 hours of record time (with an optional 8GB SDHC card). 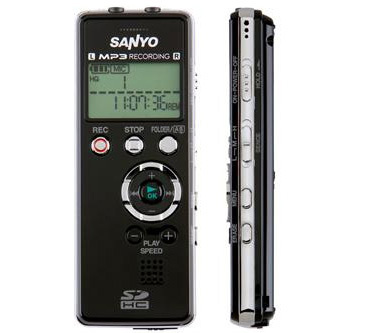 “SANYO’s new line of MP3 recorders raises the bar in digital voice recording technology,” said Tom Van Voy, Vice President of Marketing and Product Planning, SANYO Consumer Products Group. 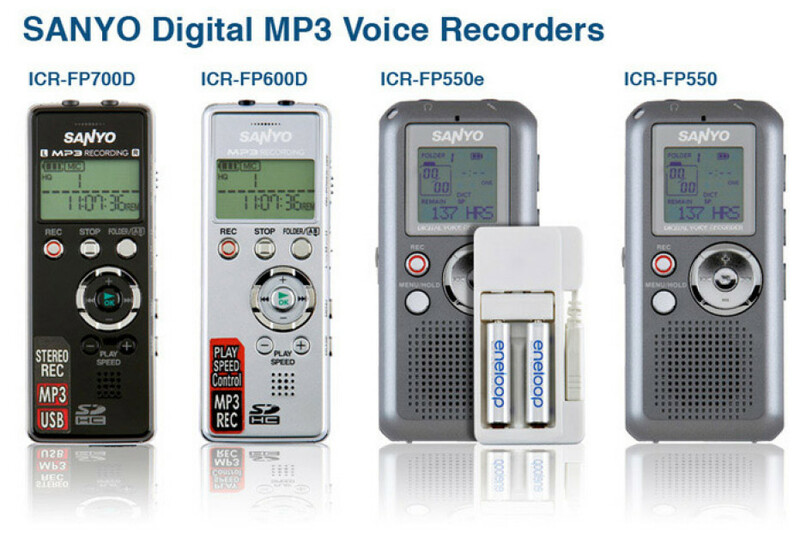 “Students, business professionals and music enthusiasts will be pleased to know that our stylish, high performance designs feature universal MP3 recording; making them easy to use and the recorded content easy to share” Set for U.S. retail availability in early May 2009, SANYO’s advanced new digital MP3 voice recorders include the ICR-FP700D ($129.99 MSRP; Black), ICR-FP600D ($99.99 MSRP; Silver), ICR-FP550e ($79.99 MSRP) and ICR-FP550 ($64.99 MSRP).